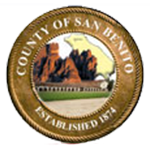 The San Benito County Elections Department is happy to announce that we are now on Twitter. Please follow us for all the latest election’s information, as well as informational facts for candidates and voters alike. Posts will begin next week. Please view our Social Media Policy Plan, which outlines what we can and can’t post.